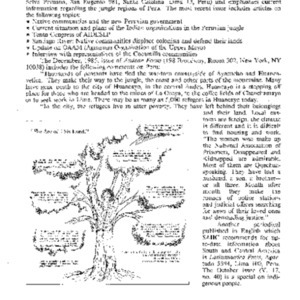 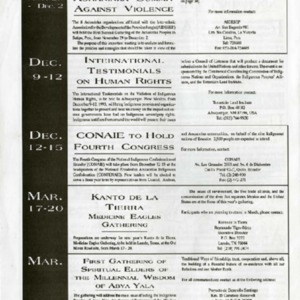 A copy of a calendar of international events related to indigenous populations from November 29, 1993 to March 1994. 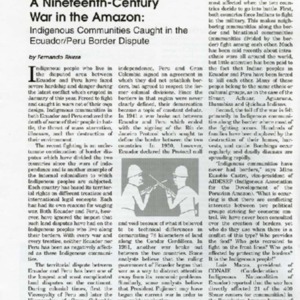 Another epidemic infects the indigenous community of San Lorenzo, Peru bringing to light the weaknesses of the Peruvian health care system. 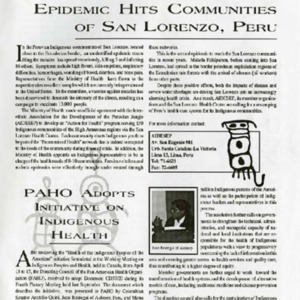 AIDESEP and the San Lorenzo Health Center insist on renovation the health care system.